Bha deireadh seachdain buileach sgoinneil againn aig Fèis Leabhair Ulapuil agus chan urrainn dhomh a moladh cus. Abair fosgladh sùile! Cha chreid mi gun robh mi a-riamh aig fèis (chiùil, leabhair no ealain) a bha cho rianail, tlachdmhòr agus inntinneach. Iomadh turas a bha mi ann an Ulapul, ach coltach ri mòran, dìreach gus am bàta fhaighinn a Steòrnabhagh, ach an turas seo, bha cothrom ceart agam cuairt a dhèanamh air a’ bhaile, agus thaitinn e gu mòr rium. Dh’ionnsaich mi gu bheil fada a bharrachd ann an Ulapul na bhite an dùil is tu nad sheasamh aig a’ chidhe a’ feitheamh ri aiseag Leòdhais. Bha an Fhèis fhèin ga cumail ann an Talla a’ Bhaile, ach chaidh ar biadhadh aig a’ Ceilidh Place shios an rathad, agus dios-o, bha am biadh math. Bha na seiseanan uile smaoineachail, agus cuid, craicte èibhinn cuideachd. Chòrd an seisean le A. L. Kennedy rium gu sònraichte is mi a’ gàireachdainn cho làidir ’s gun tàinig na deòir. Fo stiùir sgilleil Mark Wringe, chaidh an seisean aig Anndra agus mi fhìn glè mhath, le mu 40 an làthair. Rinn Mòrag Stiùbhart an t-eadar-theangachadh beò, agus bha sinn buidheach às an obair a rinn i, oir, cha robh a’ Ghàidhlig aig a’ mhòr-chuid anns an èisteachd. Ceud taing dha na h-uile a thàinig cho fada gus ar faicinn! 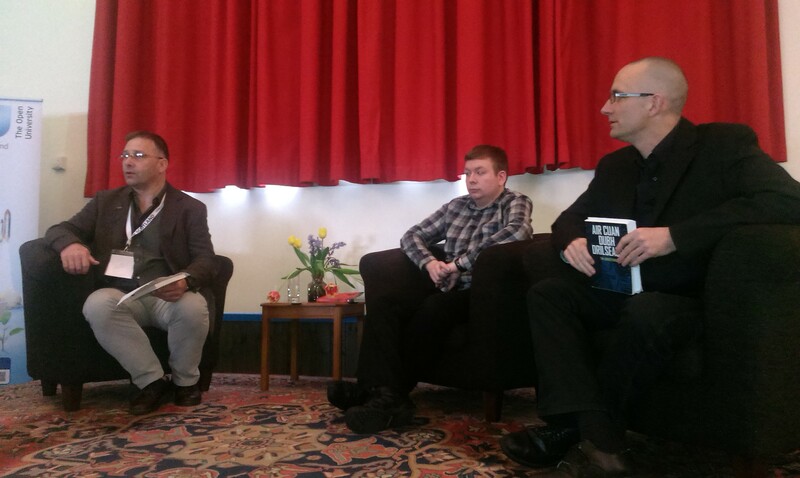 Agus moladh mòr dhan Fhèis airson tachartas Gàidhlig a chur ris a’ phrògram. B’ e fior thlachd a bh’ ann agus tha mi gu mòr an dòchas gum bi seans agam dol air ais an ath bhliadhna. 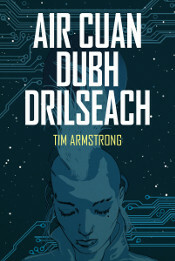 Taing do Brian Ó hEadhra airson a’ fòto. Chaidh mi ann agus tha mi cho taingeil gun deach mi gu Ulapul – bha e math dha-rireabh, mar a bha thu ag radh! 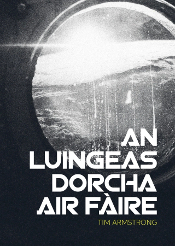 Taing dhut fhein, agus do Anndra Dunn, airson session cho math. Oh, agus tha na buithtean leabhraichean ann an Ulapul – An ‘Ceilidh Place’ agus an ‘Ullapool Bookshop’ – direach sonraichte math. Gu mi-fhortanach, torr nas fhearr na Steornabhagh. Steornabhagh, Duisg! Dhea, dhì-chuimhnich mi na bùithtean. Bha iad sgoinneil taiceil. Chaidh mi fhìn agus Anndra a-steach dhan dà bhùth agus fhuair sinn fàilte mhòr bho na sealbhadairean. 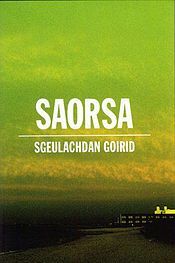 Anns a’ Ullapool Bookshop, dh’iarr fear na bùtha oirnn ar làmhan-sgrìobhaidh a chur ris na leabhraichean againn, agus an uair sin, nuair a bha sinn a’ coiseachd a-mach an doras, thuirt e, “Thank you for writing novels in Gaelic!” Sgoinneil fhèin fhèin!! !